World Cup 2018 kicks off this Thursday! What: A World Cup kickoff party! Free Raffle to win a reservation for 6 at the World Cup Final including breakfast chosen by our chef. Check out the new dishes that Le Pichet chef de cuisine Dave Cooper has recently added to the menu for early summer! 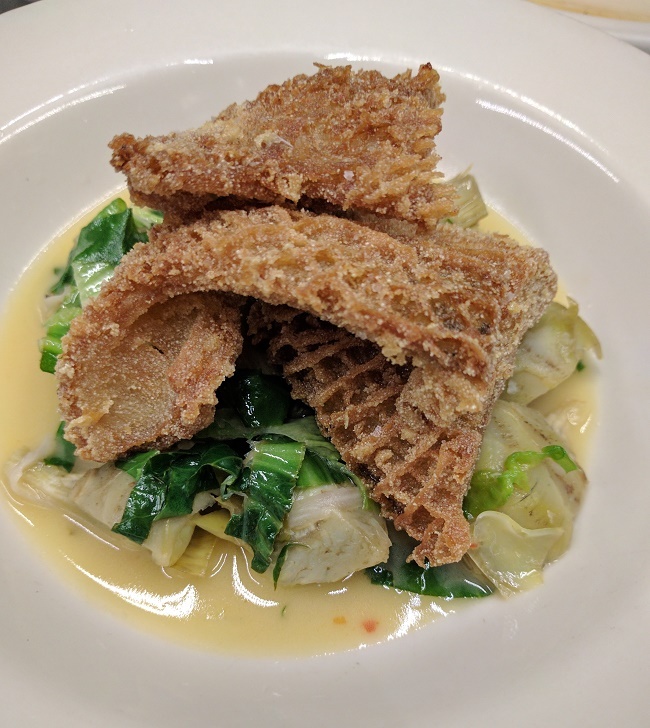 Crispy semolina fried beef tripe served on a ragout of artichokes, escarole, garlic and white wine. 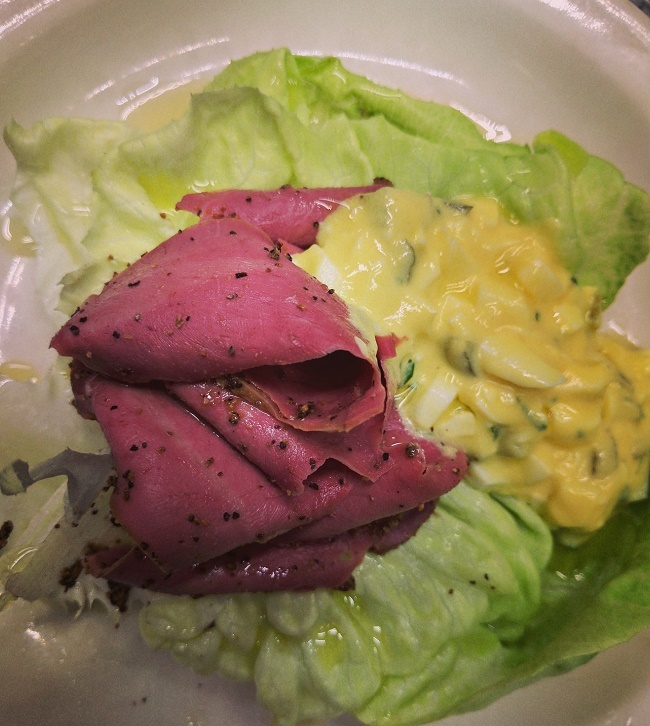 Smoked pork heart, thinly sliced and served on butter lettuce with sauce gribiche. This was the dish we served at the 2017 Bailey Boushay House Chef’s Dinner. A good choices for either a warm, filling first course or, with a green salad, a light but satisfying supper during the cold winter months. 1. Cut the beef into 2" pieces. Peel the onion, garlic, carrot and chop roughly. In a bowl, combine the beef, vegetables, bay, cloves, cinnamon, cognac, and enough red wine to just cover. Cover the bowl with plastic wrap and refrigerate overnight. 2. The next day, draining the beef, saving the marinade. Pat the pieces of beef dry with a paper towel. In a stew pot, sear off the pieces in a little vegetable oil, until colored well on all sides. Add the vegetables, herbs and spices and saute briefly. Add the marinade and, if necessary extra water, to just cover. Bring to a boil, skim well, reduce heat, cover, then simmer very slowly until the meat is tender, about 2-3 hours. 3. Strain the cooking liquid into a smaller pot. Skim off the fat, then reduce to a light sauce consistency. During this reduction, shred the beef, discarding any fat or gristle. If you like, dice finely the vegetables and add to the beef. Season well with salt and pepper. 4. Add the reduced cooking liquid to the beef and stir well. 5. Peel the parsnips, onions, potatoes, and garlic. Remove and discard the hard upper leaves of the leek, then split and wash well. Wash and trim the celery. Chop all the vegetables roughly. Toss all the vegetables except the potatos with a little vegetable oil, spread on a baking sheet and roast in a 350 degree overn until tender and beginning to take color. 6. Transfer all the vegetables to a soup pot. Add the potatoes, wine, cider and enough water to just cover. Bring to a boil, then reduce heat and simmer slowly until all the vegetables are very tender. Add the cream and return to a boil. Puree the soup in a blender until smooth. Pass though a medium strainer. Season with salt and pepper. 7. Reheat the braised shank and hold hot. Reheat the soup, then add the cold butter and stir until it is completely incorporated. Ladle the hot soup into individual warm soup bowls, add a large dollop of the braised beef to the middle of each bowl and garnish the top with slices of Fourme d'Ambert. Every second Wednesday from 4pm to 6pm, please join us for French conversation in the back room at Café Presse. At each meeting, a French speaking facilitator will be on hand to get the discussion rolling. The Conversation Table is free and open to French speakers of all levels. Hope to see you there. And don’t forget that every day from 4pm to 6pm (including during the French Conversation Table) you can enjoy our VinExpresse Happy Hour, when all in-house bottles of wine are available for take-out prices as well as special prices on wine-friendly snacks. 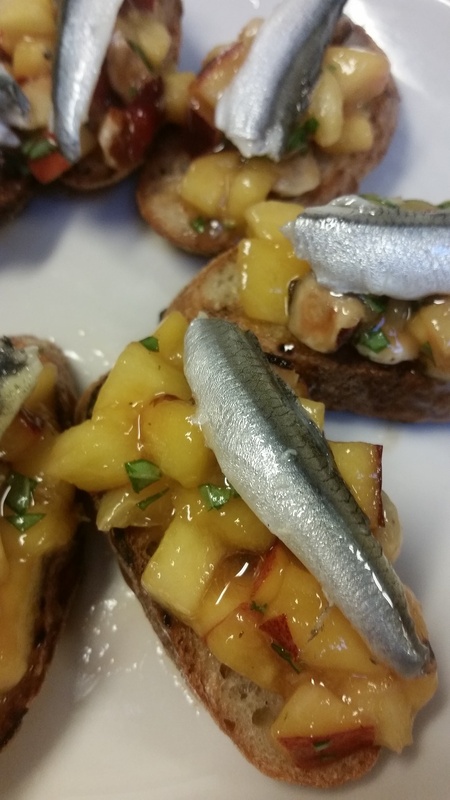 Vinegar cured anchovies and nectarine-basil tartare with sherry and hazelnuts on grilled baguette slices. The Summer 2016 Chef’s Dinner at Café Presse was last Tuesday and we had a great time! 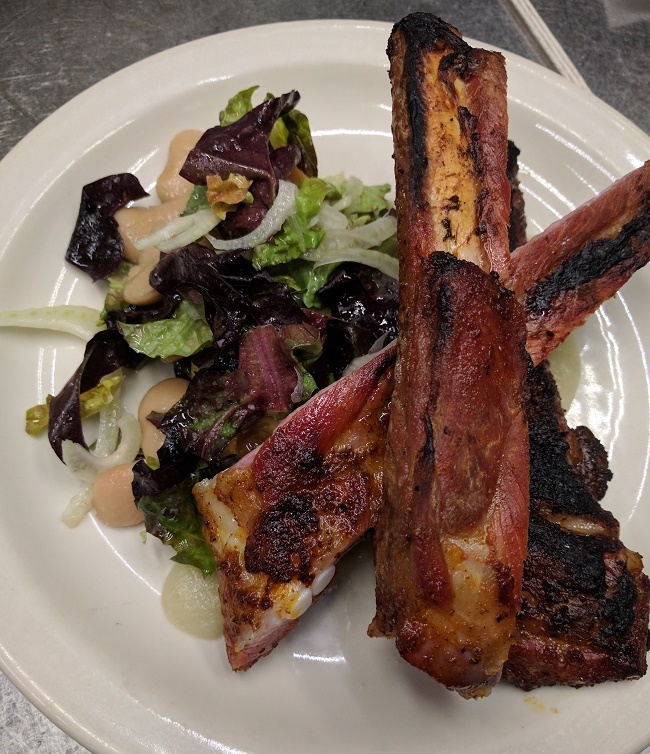 The theme for the dinner was “Summer in the Pays Basque” and the menu took its inspiration from the recent trip to the French Basque countries taken by our chef de cuisine Patrick MacWhorter. Keep your eye on Café Presse’s website or this blog for info about the next Chef’s Dinner, coming in November 2016. And if you would like to be on our mailing list for events like this, please sign up for monthly newsletter here. Eggs scrambled with piperade, on sliced baguette. The general knowledge in my family has always been that our Drohman ancestors came to America from the area along the border between southern Germany and northern Switzerland. I remember as a kid always saying that our people were German. However, in my head, this was all about something that had happened in the very distant past and didn’t have much impact on my life. However, in the late ’90s, well after the time when I lived in Paris and discovered my love for French cuisine, I found out, via an uncle who is nuts for genealogy, that I have Drohman relations who are French! The story my uncle uncovered involved two brothers who left southern Germany in the last part of the 19th century, with the intention of starting a new life in America. As fate and circumstance would have it, one brother stopped in Alsace near the town of Mulhouse, and the other continued on to the United States. They respectively founded the French and American branches of the Drohman family. Today, most of the French Drohmanns (note the extra “n”) still live in Alsace, although I know of at least one, Marion Poirez (born Drohmann) who lives in Paris. Marion and her husband, mother and father recently made a trip to visit the West Coast of the United States, starting in Seattle. 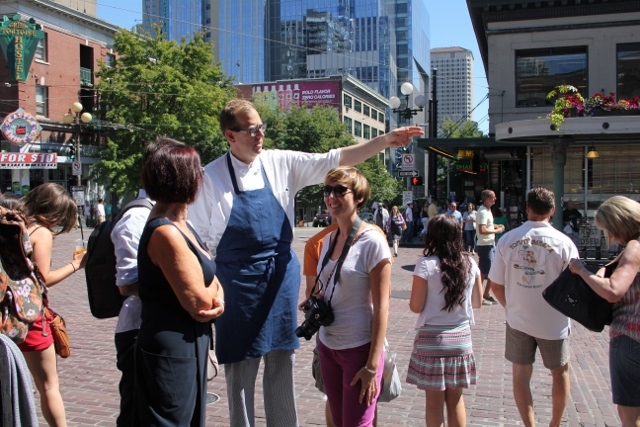 During their visit, I had the pleasure of introducing them to the Pike Place Market and of welcoming them for dinner at Le Pichet. And we hope to visit Marion and her husband when we are in Paris this month. I seems that those people from the very distant past do have an impact on my life after all. Cafe Presse will be showing every minute of every match of the FIFA 2014 World Cup finals. Watch this space for news coming soon about our World Cup Kickoff Party and drink and food specials during every match. Thank you Q13, the local Fox affiliated channel here in Seattle, for a nice mention in an article on their website entitled “Top 5 chill bars on Capitol Hill you have to try”. Of course we always appreciate a good word, but it is extra nice when they spell our name correctly. 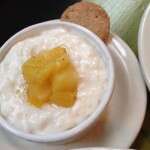 The 2013 Spring menu at Cafe Presse begins this coming Tuesday, April 2rd at 9am. Its the time of the year when we bid “farewell” to winter favorites like Axoa, Raclette, Oysters and Soupe a l’oignon gratinée, and begin enjoying lighter fare for spring. This year’s menu will feature the bounty of the springtime farm table, including asparagus, spring onions, rhubarb, radishes, mint, arugula, watercress and much more. 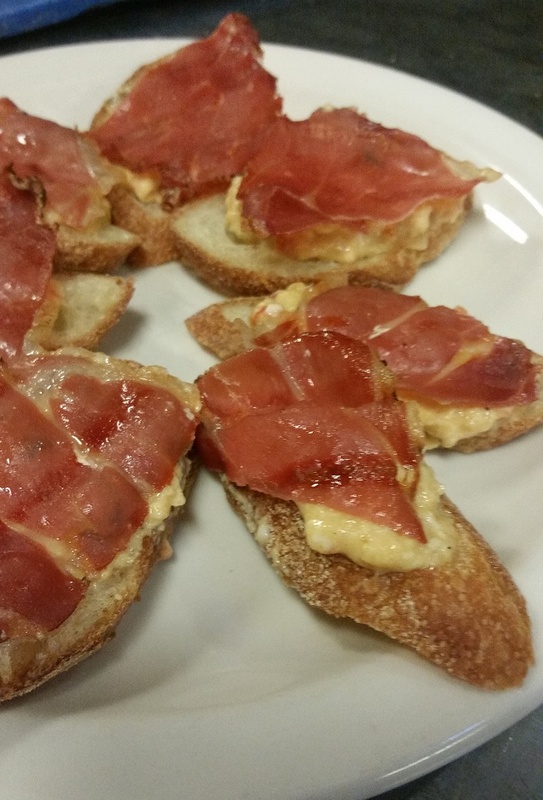 The menu will be posted on the Cafe Presse website on Tuesday morning. Receive periodic e-mails on upcoming events at Le Pichet and Café Presse.